The Caribbean Export Development Agency has signed a memorandum of understanding with the Latin Chamber of Commerce of the USA to help strengthen cooperation between the US based entities and the member states of Caribbean Export which includes CARIFORUM countries. The Caribbean Export Development Agency has signed a memorandum of understanding (MOU) with the Latin Chamber of Commerce of the USA. The agreements form the basis for the strengthening of investment and trade promotion and facilitation and develop reciprocal cooperation between the US based entities and the member states of Caribbean Export which includes The Bahamas and CARIFORUM countries. “These agreements will open new doors to the Caribbean and to Caribbean businesses. Caribbean Export has always been very strong on promoting partnerships because we see them as the most effective and cost-efficient ways to advance the goals of the agency and those of the region,” notes Coke Hamilton, executive director of Caribbean Export. The agreement with the Latin Chamber of Commerce will strengthen the region’s efforts to access the markets of Latin America as well, opening opportunity for partnerships with US-based Latin firms and Latin investors seeking to enter the Caribbean. The signing of the MOUs formed a part of activities targeting investors in the US market on 13 May 2016 through the hosting of a Caribbean Investment Summit funded and co-organised by the Inter-American Development Bank (IDB) as a part of a Regional Public Goods Initiative entitled: Support to Foreign Direct Investment in the Caribbean. The promotion of the event was facilitated by both chambers whose members formed the main audience for the summit. 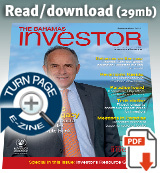 Seventeen of the 19 member countries of the Caribbean Association of Investment Promotion Agencies (CAIPA) participated in the event sharing their investment ready projects to the more than 100 investors and site selection intermediaries. 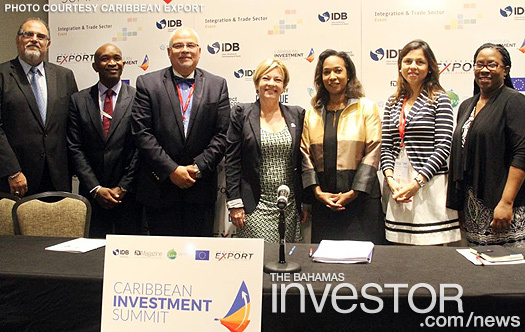 The signing of the agreements and the summit are part of a work programme with the IDB that is being implemented by Caribbean Export, as the Secretariat for the CAIPA. Some customers have been coming to the Breezes resort on Cable Beach for around 20 years. To reward their loyalty, the resort put on special series of events. The Bahamas has been nominated for four Travvy Awards for 2017 – Best Gaming Destination (International), Best Honeymoon Destination (Caribbean/ Bahamas), Best Wedding Destination (Caribbean/ Bahamas), and Best Tourism Board (Caribbean/ Bahamas).